This year, inspired by Gretchen Rubin's book, I've been doing a Happiness Project, focusing on one important aspect of my life every month. 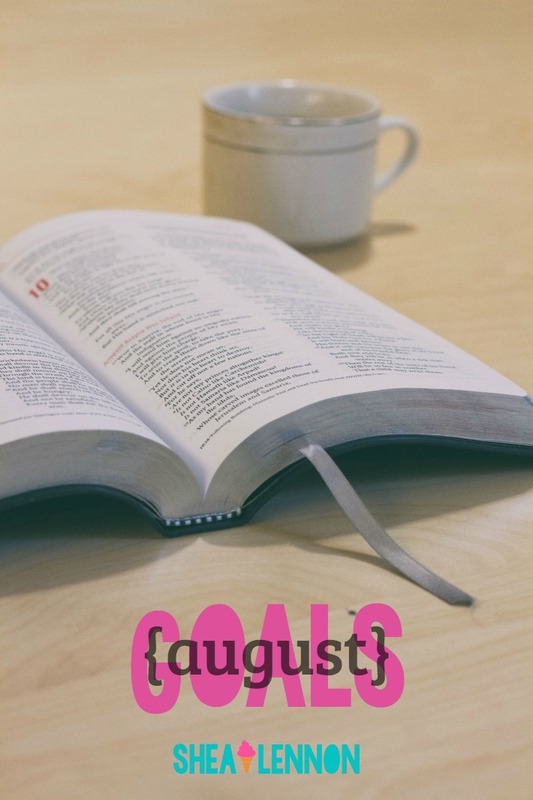 Last month my goals were all about money, and August's focus is spirituality. The idea is that the months should build on one another and the habits formed in one month should continue into the next and so on. Each month I share my wins from the previous month, as well as goals that fit the theme of the current month. This month my goals centered around money, something that I have always had a shaky relationship with. I made it my intention (word of the year!) to improve my attitude toward money this month, and I believe I was successful at that. I've put some practices into place that I hope will allow my improved relationship with money to continue. Here are my money-related wins. - Accepted a new position at work! I mentioned in last month's Currently post that I had accepted a position as an education coach, but since then my plans have changed. While I think I would have really enjoyed that job (and especially the person I would be working for), someone from my current workplace reached out to me about an opening in the marketing department, a position that is very aligned with my passion for writing and creativity. I will be starting my new role as a Communications Specialist next week. - Discussed "big picture" goals and made financial plans with Aaron for the upcoming school year. Clearly we have a lot of changes happening right now (new jobs for both Aaron and I, we're both in grad school, Jona is starting kindergarten... my head might explode!) so we're trying not to let it all overwhelm us. We hope to stay on track with our budget as best we can, and make progress on our financial goals little by little. - Created a visual reminder to help me stay on track financially. I printed a picture of our family and put it on my dresser where I'll see it every day; it is there to remind me of what's important to me. - Developed healthy practices around money, such as expressing gratitude for money coming in and money spent, and repeating positive affirmations about money. - Read You Are a Badass at Making Money by Jen Sincero and started adopting some of her recommended habits (such as the healthy practices stated above). This book was a total game changer for me. If you struggle with your attitude toward money and are open to non-traditional ways of thinking about it, I can't recommend this book enough. You may think I'm crazy, but at one point during the month we had an unexpected, pretty significant expense. Within weeks of learning about that expense, we found out that we would be receiving money in THAT EXACT AMOUNT. A coincidence? Perhaps, but it still blew my mind. - Read 6 books. It was another month of good ones! I'll share my round-up soon. - Visited the Omaha Zoo with friends. We had 6 adults and 6 kids, ages 9 months to 6 years, between us. Surviving the busy zoo that day felt like a win for sure! - Rode the Sky Tram at the Omaha Zoo while holding my strong-willed toddler despite feeling scared out of my mind. Guys, that was LITERALLY the scariest thing I've ever done. I'm not sure if you're familiar with the idea of a sky tram, but it's like a ski lift that takes you HIGH above the zoo and you can see all the animals below. Only 3 people were allowed on each seat, so Aaron took Jona and I had Violet. It was not my idea to go, but the whole group wanted to so I decided to face my fear of heights. I thought Jona would be afraid and wouldn't want to go, but that ended up being his favorite part of the zoo! Meanwhile, I had a death grip on Violet and my other hand white-knuckled the seat restraint bar. I couldn't stop envisioning her fighting to get off my lap while we're suspended WAY up in the air. I ended up relaxing and enjoying myself for the second part of the ride, but it still freaks me out when I think about it. - Celebrated 12 years of marriage with dinner and drinks out on the town. Aaron and I got a much-needed date night at our favorite seafood restaurant in downtown Kansas City. We went on a Sunday night so it was a quiet, relaxing night out, complete with uninterrupted conversation. Win! This month I'm focusing on spirituality. I don't talk about it much on the blog but I am a Christian and my family and I attend a local Methodist church. However, to me spirituality goes beyond just church attendance. I would like to deepen my spiritual and religious practices this month. - Create daily prayer habits with my family. I pray on my own, but I would like to get better about developing regular prayer habits, especially with Jona and Violet. This month I hope to get in the habit of praying at the dinner table, and also saying prayers at night before bedtime. Violet is too young to really understand the concept, but I would still like to start. - Increase my involvement with our church. Right now I volunteer in Jona's classroom during worship once a month, and occasionally I'll help out in Violet's classroom as well. I would like to continue doing that, and also find other ways to give my time and resources. - Set aside time every morning for scripture reading and prayer. I do an okay job of this already; I usually follow the She Reads Truth devotional and read it while I eat breakfast. However, many mornings I kind of hurry through the process. I think if I do this first, before getting ready, breakfast, etc. I will take my time and be more focused. - Read Man's Search for Meaning by Viktor Frankl. - If I have time, find a new podcast that is faith-based or spiritually focused. Right now the only thing in that vein that I listen to is The Next Right Thing with Emily P. Freeman. Do you have any recommendations? What are your goals for August? Any big wins in July? Congrats on your new position and happy belated anniversary! Cheers! Congrats on your new position!! That’s amazing and sounds like the right career presented itself to you and that it aligns with where you want to be in life—isn’t it neat when the universe throws you a solid?! Speaking of which, that’s pretty amazing re: having a big expense and a deposit come in (in the exact amount?!) around the same time!